What Makes Ketona Truly Different? 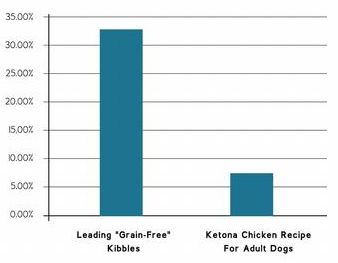 Ketona is truly different from every other pet food on the market today, with the nutritional content of a typical raw diet but the cost and convenience of a kibble. Made with care in the USA from natural ingredients (with added vitamins and minerals) including meats sourced exclusively from American and Canadian ranchers and fishermen. No wheat, no corn, no rice, no potatoes, no sweet potatoes, no rye, no sorghum, no beans, no soy. And no artificial flavors or colorings either.